I am West Village. I started my English blog. But It is Google translation(haha). 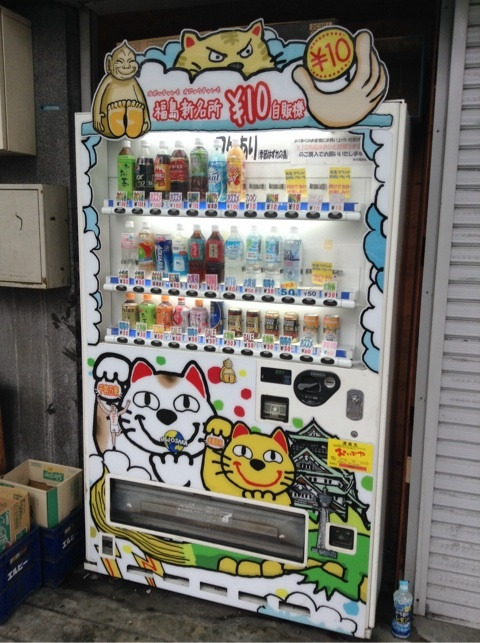 Vending machines for juice in Fukushima, Osaka city are cheap. We can buy it from 10 yen. But what kind of juice will come out is unknown. I tried it. It was the 1st Yuzu Juice. It was the 2nd Yuzu Juice. And it was the 3rd Yuzu Juice. Apparently the vending machine seemed to contain only Yuzu.